The core of our work is to get restaurant owners to a 55 percent restaurant prime cost. 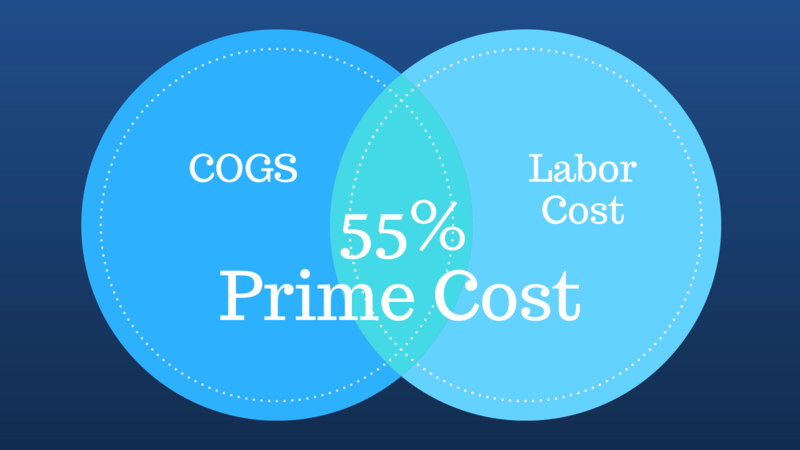 As a refresher, the restaurant prime cost percentage consists of the two main controllable costs in your business: cost of goods sold (COGS) and total labor cost (payroll expense). Why 55 percent? Because it leaves you with 45 percent of your sales to cover your operating expenses and still have room for profit. Typically, that breaks down as operating expenses between 25 percent (usually a great rent expense and good sales volume) and 35 percent (not a great rent and lower sales volume). Using simple math, it leaves you 10-20 percent pretax profit. If your prime cost is 60–65 percent, you don’t need me to tell you, there is little, or nothing, left over for you. The answer is yes, and, in many cases, it is going to be better than 55 percent. TheRestaurantExpert.com and SMART Systems Pro, our restaurant management software, are the best way to help you get to a this target restaurant prime cost percentage and make money in your restaurant. However, it takes work. There are a lot of restaurant applications and software on the market that profess to make your life easier. But easier will never be the solution that gets you to a 10-20 percent profit margin because there is no magic work-free way to do it. You must do the work to see the results. Now, let’s be clear. It isn’t any more work than any successful restaurant has to do. Any restaurant out there making money is doing this work. What does it look like? How will you know what your COGS and labor cost percentage should be to hit that target restaurant prime cost percentage? It starts with a budget to establish your targets. Don’t have your budget yet? We would love to help you do that! Categorize your sales and purchases between food and the different types of revenue generating beverages. Then you are going to do weekly inventories that give you an inventory amount for these categories so you know what your COGS are for each category. Next in the process is to create purchase orders and invoice price compares. Then you are going to create recipe costing cards so you can run a PMIX and determine your ideal costs based on what items you sell. Next, we are going to help you re-engineer your menu so that ideal cost can achieve the needed target. The biggest and most difficult component of reaching your targets is teaching, training and developing your management and staff in quality ordering, handling, prepping, storage, rotation, and portion and styling. During all this, you will incorporate the support tools that have to be used such as purchase allotment, key item reports, waste sheets, usage reports, POS import for ideal use and automatic pars. Does this seem daunting to you? Let me present it for you this way. In the early eighties, I came across a book, How to Stop Smoking, Guaranteed, which, unfortunately, I needed at the time. The author guaranteed that if you followed everything he said, you would stop smoking. His first step: “No matter what, never put another cigarette in your mouth.” With that in mind, I guarantee you will achieve your COGS prime cost target if you do everything listed above. For every corner you cut and process you don’t want to do or make your staff do, it will move you further from your goal. The great thing about SMART Systems Pro is it has all the information and systems to support that guarantee and TheRestaurantExpert.com has all the coaching, training and support to guide you through it. Write employee schedules on a weekly basis with intent. Complete a labor allotment on a weekly basis. Modify punch-in and punch-out times daily. 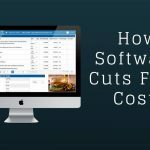 The above steps are the “low hanging fruit” that will have an immediate reduction in your labor cost, but to get to your target restaurant prime cost percentage, it will require much more work. For example, you will devise and require checklists for job expectations. You will review, evaluate and improve your training process. You will evaluate and improve points of productivity in your operation, which include openings, setup, closings and production work. In doing your menu engineering, you will identify changes that can improve your sales and productivity. It takes work, yes, but the reducing the labor cost half of the prime cost target is guaranteed, too. I mentioned earlier the great thing about SMART Systems Pro is it has all the information and systems to support that guarantee and TheRestaurantExpert.com has all the coaching, training and support to guide you through it. Take advantage of it! I look forward to seeing you on the lower side of 55. If you would like to learn more about the services we provide, including our restaurant management software, please reach out to our Solutions Coach to schedule a free coaching session or call him at 877-457-6278, ext. 106. You can also read more about the importance of knowing your restaurant prime cost percentage in our free special report, Breaking Away from the Insanity: How to easily take control of your restaurant and make more money. Download it here. Be sure to visit our YouTube channel for more helpful tips from David Scott Peters, our company’s founder and THE restaurant expert. Dennis Mosher is the support manager and restaurant coach for TheRestaurantExpert.com. He works directly with Members on a daily basis to help them maximize the resources and benefits of SMART Systems Pro, the company’s restaurant management software.